Recently, events such as the “Ueli Steck team” fight with the Nepalese’s Sherpa on the Everest’s normal way and the decision to put cops on the Mont-Blanc have hit the media’s front pages. Consequently raising general awareness of an increasing need to preserve these places from damages caused by a massive flow of people and to manage this flow to a level sustainable by the fragile ecosystems. The response is definitively “YES they have such a right, but it comes with an obligation to respect the place they evolve on and to leave it as it was before they came”. This is most often where the issue of concerns are. If the mountains would be traveled only by responsible mountaineers this would be a fair point. But this is not the reality. All kind of people want to climb mythical summits. The question then becomes: can we keep a good balance between total freedom and a good level of preservation of a medium facing massive flow of people. Are we ready to sacrifice these areas to turn them into dumping ground? We can just leave them then, as they are. Economics and Security may at the end dictate a change in behavior through policies such as what those happening in the Mont-Blanc. Indeed, as the businessmen have already realized, why would anyone still go to places that have become overcrowded and dirty over time. I have followed the Ueli Steck saga through the media, have attended some his conferences and have discussed with him. I found him both an extraordinary sportsman and a mountain lover depending on the situation he finds himself in. I was not up there when the incidents happened, so I can’t have a good appreciation for what really happened. But I can understand that at this elevation and given the high number of people struggling there, feelings are exacerbated and frustration could become very high very quickly when stepping on each others at congestion points. A few days later after this event the Prefect of Haute-Savoie in France confirmed, in a meeting with the 3 mayors of the main cities around the Mont-Blanc range, mountaineering professionals, the french Alpine Club and environmental associations, that the law protecting a French listed Site (the current status of Mont-Blanc) will be enforced at the “Col du Midi” and on the “Normal Way” going-up via the Goûter” Hut during 55 days. He actually meant that cops from the PGHM will be mandated to assure that people going-up these routes have proper equipment, have reservation at the Goûter Hut and do not camp outside defined areas. How did this happen in a country known for his “laisser faire” attitude in the mountains, what is at stake in this attempt to reduce freedom in mountaineering and regain control ? For me the reasons are: 1/ preserving the long term businesses, 2/ reducing risks, 3/ protecting the environment. Points two and three being prerequisites to support the first reason. The unfortunate (because of its location) building of the new “Goûter Hut” gave the authorities an opportunity to take more control of a deteriorating situation. Their claimed #1 objective is safety, second one being to keep the place clean (thus reducing also some of their costs). From a business perspective the Mont-Blanc is an icon for the whole territory, this is also a juicy business site. The region claims that 25 000 people attempt each year to climb the Mont-Blanc, if each one spent 100€ for the journey… So for the authorities it is important to preserve a reputation that was deteriorating with the ever increasing number of contenders to the summit, causing piles of garbage, depredation to the huts but also visual and smelly pollutions, and high risks, especially at the crossing of the “Grand Couloir”. Problems similar to these ones are rather common now on all the big, mythic summits such as Elbruz, Kilimanjaro, Aconcagua, the big Himalayan summits, etc.. It is interesting to note that while the number of people climbing these iconic summits is increasing, in many countries the sheer number of mountaineers going through high elevation huts is decreasing. Very often mountaineers focusing on these “easy” but mythic routes, exhibit big egos, for them true respect of the mountain is just not there, for them mountains are only viewed as sport playing fields where oneself can prove something and at the end, shows off. This follows very much a “have it all now” pattern, typical of a materialistic society. In the Himalayas where high elevation mountains are often considered as sacred places this creates the conditions for conflicts between locals and us, Europeans, who often have lost this sense . This should be sometimes very annoying for the Nepalese. Furthermore many folks are now aiming at summitting in so the called “Alpine Style”, but this has often little to do with the practices used by clean climbers such as Messner, Loretan, others.. without respect for the work done by the Sherpas to equip the route. On the Mont-Blanc’s popular routes, it is a different situation as it is only a day climb for the Hut. Most of the people who are going through these routes are living and breathing with a sport only mentality having the summit as their sole objective. While those who want peace and enjoy what the mountain can truly offer just go to quieter and more serene places. Isn’t it sad to see that the consumerism mentality of our cities are getting up to these high elevations. In the US all the summits are part of National Parks which all have very strict regulations limiting both the numbers of people allowed in a given area and limiting their impact on nature. As an example: to climb Mount McKinley one has to take his feces back…Contrarily to what some people are saying these measures are not just about security, but more importantly about keeping the wilderness as pristine as possible. Then as a environmental protection organization what is our tool box to respond to this kind of questions? How should we react especially in front of the media? This looks like a real problem on which we can act. How are we going to address it? It seems to me utopia to find a generic position that can be applied across all situations as local situations always prevail. As each case is unique, it deserves a unique answer positioning the cursor somewhere between total access freedom and full site preservation (such a sanctuary). As one of my friends would say: sometimes it’s better to put one’s ego on the wayside and let the pleasure talks. Isn’t it more gratifying to feel alone in the planet earth and p… under the starry sky on a nearby hill than being stuck, frustrated and yelling, in a line going up a Mythic Summit, where risks are high and wilderness rewards are very small. On May 29, 1953, the day of the coronation of Queen Elizabeth II a simple New Zealand beekeeper became immortal when he reached, accompanied by Sherpa Tenzing Norgay the summit of Sagarmatha,in Nepalese (Chomolungma,Tibetan or, Mount Everest) (8848 m) … An ascent of which he said. “We didn’t know if it was humanly possible to reach the top of Mt. Everest. And even using oxygen as we were, if we did get to the top, we weren’t at all sure whether we wouldn’t drop dead or something of that nature”. This achievement marked the beginning of the love story of Ed Hillary with the Himalayan regions and their inhabitants, he strove through many foundations, to improve living conditions (especially in the field of education). Honorary President of the Mountain Wilderness International association since its inception, he was a defender of a mountain ethics opposed to all consumerist excesses. He was one of the first to emphasize the need to respect the mountain during the conquest of virgin peaks. Its action for the protection of the Himalayan forests, especially in Nepal, has had a significant impact. Questioned in 2006 about the attitude of climbers passing David Sharp http://en.wikipedia.org/wiki/David_Sharp_(mountaineer), (an English mountaineer who was left dying nearby the Green Boot cave by 40 climbers heading for the Everest summit who made no attempt to rescue him) he said: “I think the whole attitude towards climbing Mount Everest has become rather horrifying. The people just want to get to the top. They don’t give a damn for anybody else who may be in distress and it doesn’t impress me at all that they leave someone lying under a rock to die”. The problems created by Himalayan expeditions are not new to Mountain Wilderness, in particular the pollution at base camps and normal routes to iconic summits, in fact this was one of the catalysts for the creation of our movement, the other being the “regress” of the European mountains due to the pressure coming from ski resorts, international transportation of goods or mass tourism. It is the acute awareness of these issues that led the greatest mountaineers of the time to meet in 1987 under the auspices of the Italian Academic Alpine Club to create Mountain Wilderness. 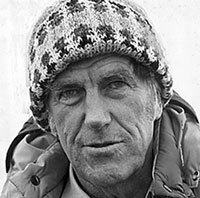 Sir Edmund Hillary was their President till he passed away. One of the first important actions of this team was the organization in 1990 of the “Free K2 expedition”, which resulted in the cleaning of the world’s second highest peak (8611m), up to an altitude of 7000m, and its base camp, of waste and fixed ropes. 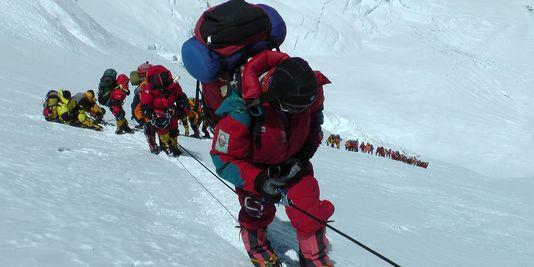 This was the first cleaning expedition in the Himalayas. It has been since repeated some times by Mountain Wilderness organized expeditions (cleaning the normal route of Annapurna by MW Catalonia) or sponsored (in 1993, cleaning the Broad Peak base camp) or more recently the French, Falchen Kangri and Daulaghiri (Dhaula-guéri ) expeditions. Following the success of the K2 cleaning action, thanks to the trust built-up between Mountain Wilderness and the Ministry of Culture, Tourism and Sports in Islamabad, MW has been asked by Pakistan to participate in the revision process of the rules governing expeditions with the aim of taking into account the environmental dimension. In addition Mountain Wilderness organized, first in India (and then in Pakistan) in response to the Indian Mountaineering Association – several environmental mountaineering courses for the liaison officers. The goal was to wake them up to an “ecological awareness” for supervising expeditions. Between 2001 and 2006, mountain Wilderness delivered several environment-friendly mountaineering training course in Pakistan and Afghanistan working with local communities. In 2003 Mountain Wilderness organized the OXUS for Peace International expedition with the intention to re-open the Afghan Hindu Kush ranges (which used to be a popular destination in the past) to adventure tourism of all kinds as an evidence of a peaceful return to a normal life of the region. Consequently offering to the extremely poor population of the valleys a source of income and social and economic improvement possibilities. Fausto Di Stefani and several co-climbers reached the top of Mount Noshaq (7492 m), the highest peak of Afghanistan, which had remained unclimbed for 25 years. The involvement of Mountain Wilderness in the Himalayas is far from over: The Asian desk of Mountain Wilderness International led by Carlo Alberto Pinelli is currently planning for the 2013 summer another “Training the Trainers” session in Northern Pakistan.